It’s Monday, what are you reading? I kind of can’t believe we’re at the end of January already, and I’ve only finished one book. That’s not to say I haven’t been reading, though; I’m really trying hard to get back into a groove after hardly having the motivation, attention, or energy for it for several weeks. 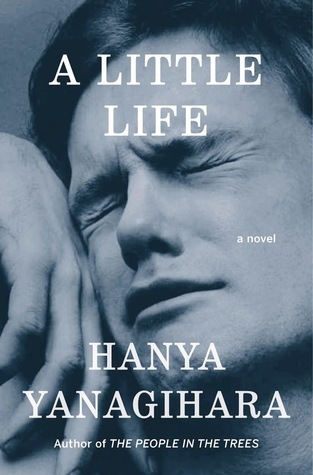 I’m about halfway through A Little Life by Hanya Yanagihara at the moment, and hoping to finish by the end of this week! My feelings about it are a little torn, though, more than I was expecting. It’s had the greatest reviews, but there are a few stylistic things that are working against my Loving it (capital L). No spoilers! I am enjoying it a lot, though, and will definitely finish. This entry was posted in activities, books and tagged book community, contemporary literature, fiction, friendship, it's monday what are you reading, male adolescence by kristin @ my little heart melodies. Bookmark the permalink.